Celebrity parents are busy people. If you wanna talk about a work-life balance, look at these stars, who work long hours on set and still manage to find time to raise children. Add to that the celebrities who went big and decided to have a whole pack of children. Prepare to be impressed. Of course, there are plenty of superstar women who make up the other halves of the large-family-having duos, but today, we're focusing on the dads. Sure, they get to be A-list celebrities, but we bet their Oscar wins are less important to them than being fathers. 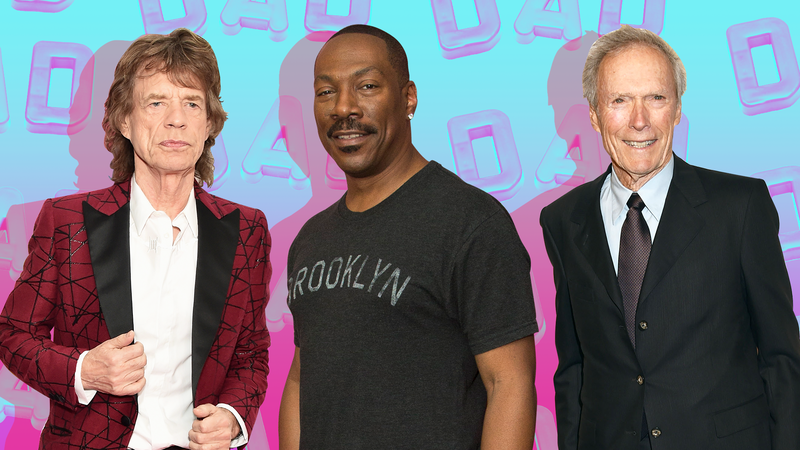 In honor of Father's Day on June 17, we've put together a list of celebrity dads who have six or more children. Who has the most? You'll have to click through to find out. 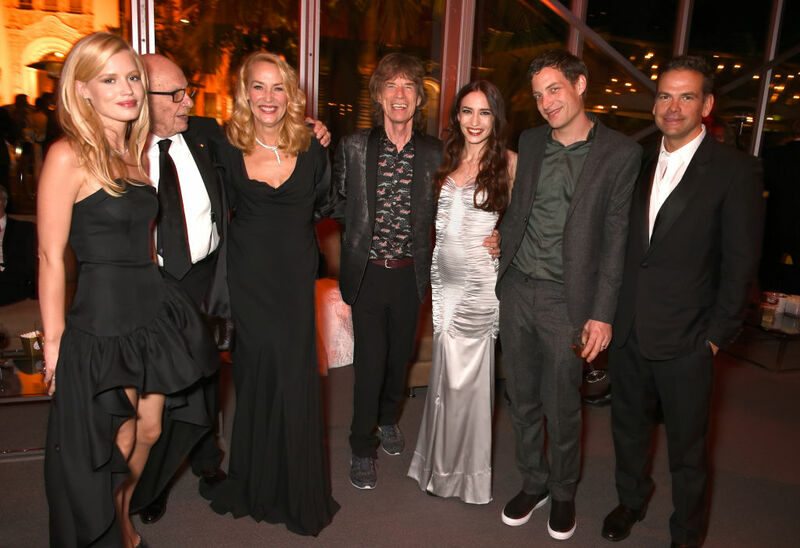 Not only does Mick Jagger have eight kids, he also has five grandchildren and even one great-grandchild. His oldest child, Karis Hunt Jagger, is 47, while his youngest was born in December 2016, making him only about a year and a half old. Mick Jagger has had children with five different women. He had his first child, Karis, with partner Marsha Hunt. His next daughter, Jade Sheena Jezebel Jagger, was with his former wife Bianca Jagger. His next four children were mothered by Jerry Hall. His seventh child was the result of an affair with model and television host Luciana Gimenez, and his eighth child was with ballerina Melanie Hamrick. 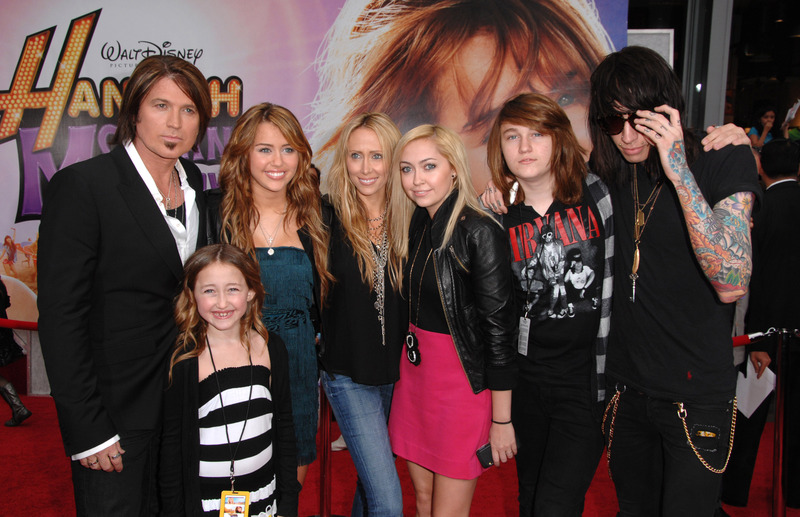 Billy Ray Cyrus has six children — five with his current wife, Tish Cyrus, and one child, Christopher Cody, with a waiter he met when he was single right before he and Tish were married. Billy Ray also adopted Tish's two kids from a previous relationship, Brandi and Trace. They then had three biological kids: Miley, of course, Braison and Noah. 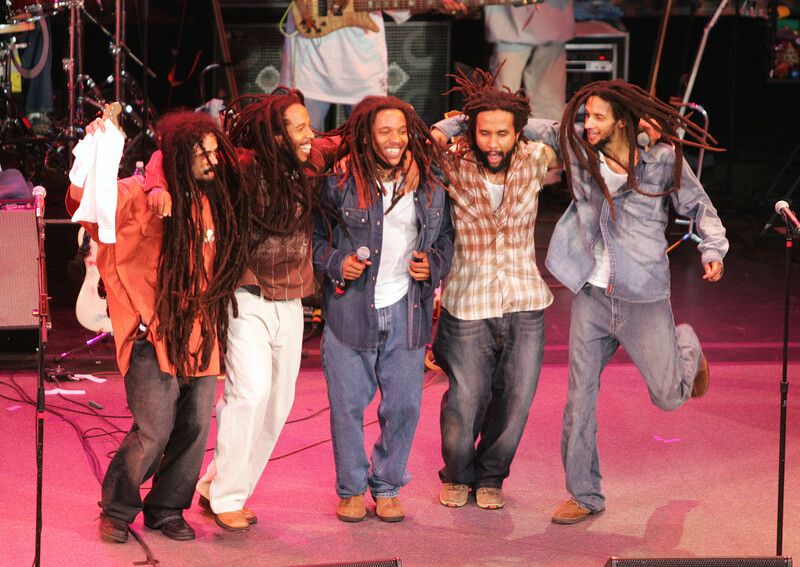 Bob Marley had 11 confirmed kids with seven different women. He married Rita Marley in 1966, and they remained together until his death in 1981. He adopted Rita's daughters from previous relationships, Sharon and Stephanie, and the couple had three biological children, Cadella, Stephen and Ziggy. Aside from that, he fathered multiple love children. His first, Robert Jr., was born in 1972. Rohan was also born in 1972. Then came Karen in 1973, Julian in 1975, Ky-Mani in 1976 and Damian in 1978. There are also claims that he fathered two other daughters, Imani Carole in 1963 and Makeda in 1981, but Thought Co. reports neither is officially recognized by Bob Marley's estate. 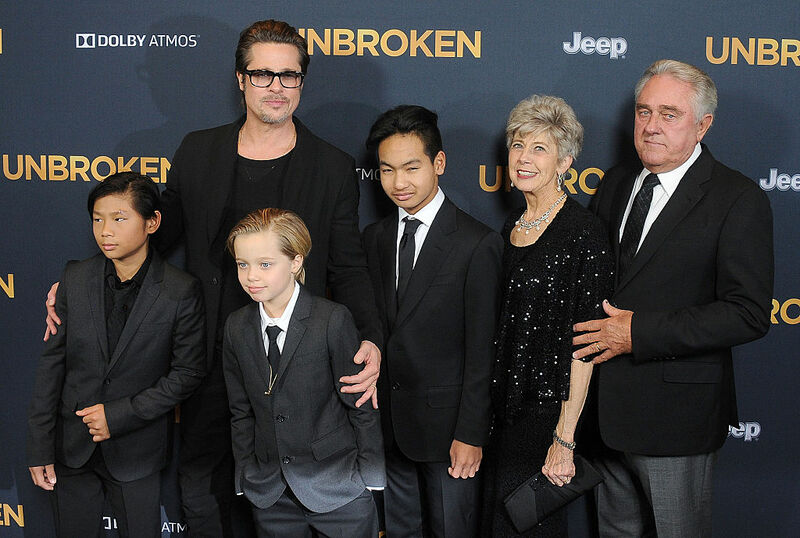 Brad Pitt has six children with ex-wife Angelina Jolie, who he started dating in 2004. He adopted Jolie's children, Zahara and Maddox, in 2006. Then, also in 2006, Pitt and Jolie welcomed Shiloh, their first biological child. Shiloh was assigned female at birth but reportedly identifies as male and prefers to be called John. The couple adopted Pax together in 2007, when he was 3 years old. Finally, in 2008, Jolie and Pitt had twins Knox and Vivienne. Charlie Chaplin is another classic A-lister with a love life worthy of a soap opera. Chaplin's first wife, Mildred Harris, was just 16 when she began dating and subsequently wed Chaplin in 1918. They had a son, Norman Spencer, in 1919, but he died just three days after birth. The couple split in 1920. Chaplin married his second wife, Lita Grey, when she was 16. Grey was pregnant and Chaplin reportedly wanted to avoid the scandal, so they wed in 1924. The two had their firstborn, Charles, in 1925, and then a second child, Sydney, in 1926. They divorced in 1927. After another failed marriage to actor Paulette Goddard and a love child scandal with actor Joan Barry in 1942, Chaplin seemed to finally meet his match in 18-year-old Oona O’Neill. They married in 1943, when Chaplin was 52, and had eight children together over the course of their 34-year marriage. They were married until Chaplin's death in 1977. 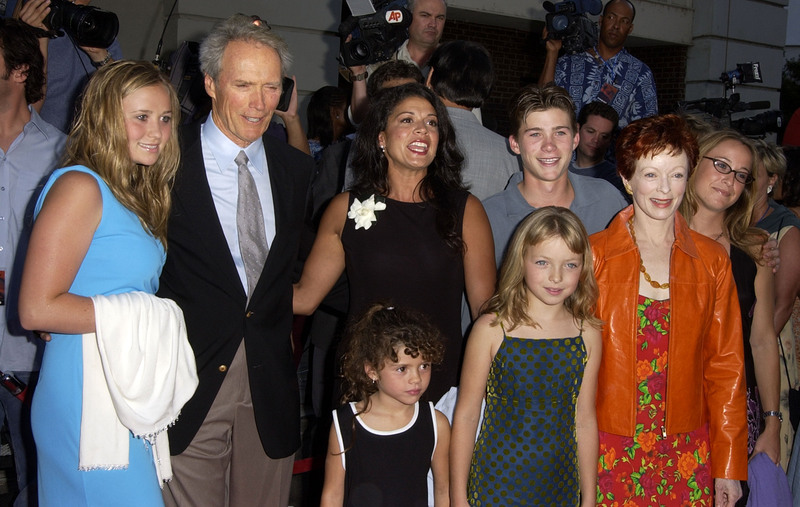 Clint Eastwood has a total of seven kids: two boys and five girls. His first child, Kimber, was the result of a long affair he had with actor Roxanne Tunis during the '60s and '70s. Kimber was born in 1964, while Eastwood was married to Maggie Johnson. Eastwood and Johnson met when Eastwood was just 23 years old. The couple married after six months of dating and were together for a decade before separating in 1964. Despite the separation, they reconciled briefly, and Kyle was born in 1968, followed by Alison in 1972. Johnson and Eastwood made their divorce official in 1984. In 1986, Eastwood had a son, Scott (who's also an actor), with flight attendant Jacelyn Reeves, and in 1988 the couple welcomed their second child, Kathryn. Then, after a romance with actor Frances Fisher that started in 1990, the couple welcomed Eastwood's sixth child, Francesca, in 1993. Last but not least, Eastwood's seventh child, Morgan, was born in 1996 to his wife Dina Ruiz. Ruiz and Eastwood were married from 1996 to 2014. 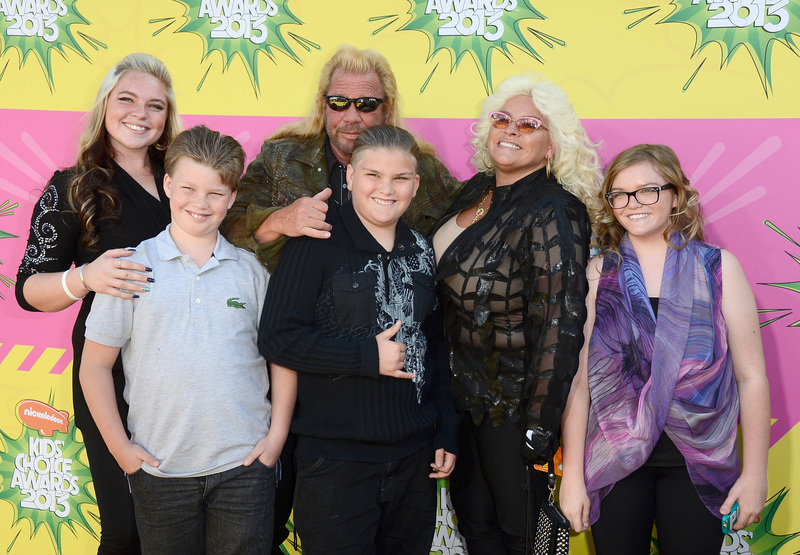 Duane Chapman (better known as Dog the Bounty Hunter) has 12 kids and has been married five times. He had his first child, Christopher, as a teen with his high school girlfriend, Debbie White. Chapman married La Fonda Sue Honeycutt in 1972, and they had two children, Duane Lee and Leland. After their divorce in 1979, he married Anne M. Tegnell the same year. They had three children, Wesley, Zebediah and James Robert. Tegnell and Chapman split in 1982, and he married Lyssa Rae Brittain the same year. They had four children, Nicholas, Barbara, Lyssa Rae and Tucker Dee. Brittain and Chapman separated in 1991, and he married Tawny Marie Chapman in the same year. (We're sensing a pattern here.) She and Chapman separated in 2003. And… pattern broken! Chapman married his current wife, Beth Smith, in 2006. They have two children together, Bonnie and Garry. 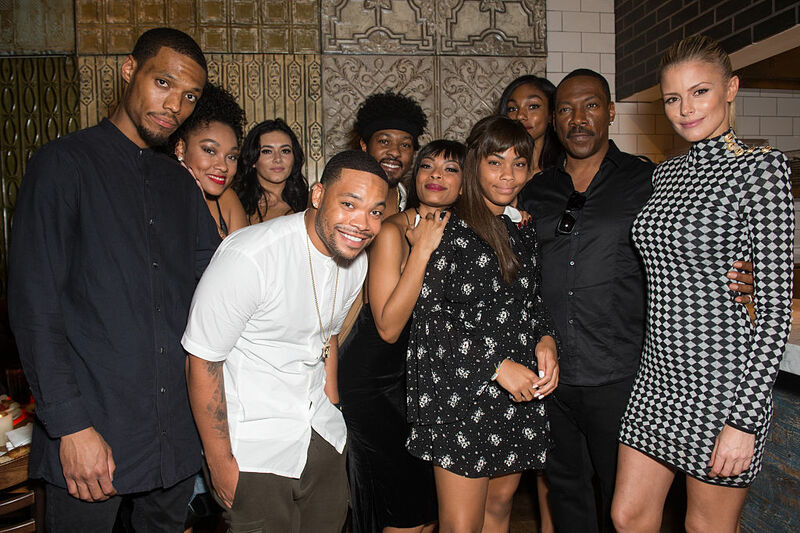 Eddie Murphy has nine children. His first child, Eric, was born in 1989 to Paulette McNeely, though very little is known about her. McNeely apparently prefers to keep her life private. Murphy's second child, Christian, was born in 1990 to Murphy's then-girlfriend, Tamara Hood Johnson. Following that relationship, Murphy married Nicole Murphy in 1993. They had five children together before divorcing in 2005. After his divorce, Murphy fathered a child with Spice Girl Mel B. His ninth child, Izzy, was born in May 2016 to Murphy's current partner, Paige Butcher. Murphy and Butcher have been together since 2012. 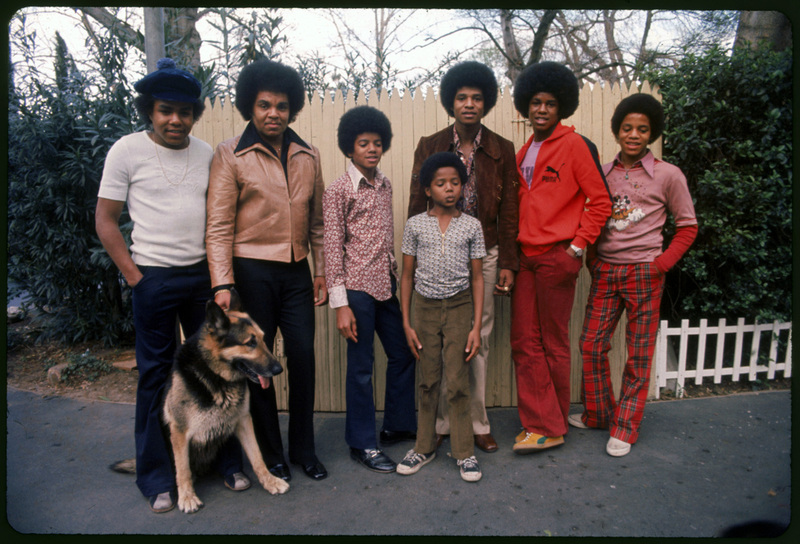 Joe Jackson married Katherine Scruse in 1949, and they had 10 children together, many of whom went on to become musical icons, including the notable pop group The Jackson 5. Later, Jackson 5 lead singer Michael Jackson went on to have one of the most successful solo careers in music history. Joe also fathered one child out of wedlock. His daughter Joh'Vonnie was the result of his 25-year affair with Cheryl Terrell. Kevin Costner has three children from his first marriage to Cindy Costner. Annie was born in 1984, Lily in 1986 and Joe in 1988. Following his divorce from Cindy in 1994, Costner had a son, Liam, with girlfriend Bridget Rooney in 1996. Costner married his current wife, Christine Baumgartner, in 2004. They have three children together. Cayden was born in 2007, Hayes in 2009 and Grace in 2010. Marlon Brando's love life and history of affairs are long and sordid. Suffice it to say that he had a complicated history, and there's a chance he may have more than the nine children that have been confirmed over the years. We may never be sure just how many there are. Brando married his first wife, actor Anna Kashfi, in 1957. The two had one son, Christian Devi, before they divorced in 1959. Brando then married actor Movita Castaneda in 1960 and had another son, Miko, in 1961. That marriage ended in 1962. Brando married his third wife, Tarita Teriipaia, in 1962 and had three children with her: Rebecca, Simon Teihotu and Cheyenne. He also adopted her two children, Maimiti and Raiatua. Brando and Teriipaia split in 1972. Meanwhile, in 1967, Brando reportedly fathered a child, Stephen Blackehart, though Blackehart reportedly denies the relation. According to NY Daily News, a spokesperson said Brando didn't know who the mother was. In 1972, Brando adopted Petra Brando-Corval, the daughter of his former assistant, Caroline Barrett Naylen, and novelist James Clavell. She was 14 at the time of the adoption. 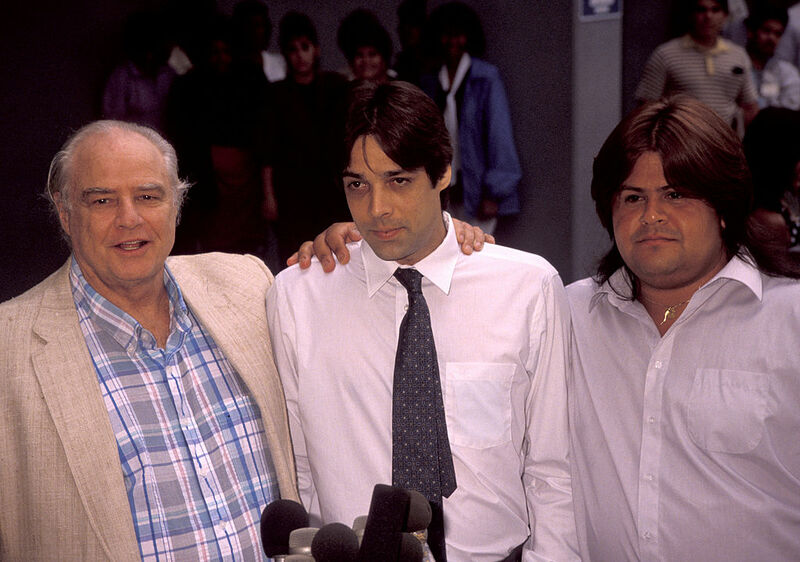 Beginning in 1988, Brando had a 14-year affair with his maid, Maria Cristina Ruiz. They had three children: Nina, Miles and Timothy. Brando also reportedly has three other children whose mothers are unknown: Michael Gilman (who was adopted by Brando's longtime friend Sam Gilman), Dylan and Angelique. Mel Gibson married his first wife, Robyn Moore, in 1980. She was a dental nurse and he was a relatively unknown actor. During their 31-year marriage, they had seven children: Hannah, Edward, Christian, William, Louis, Milo and Thomas. The two split in 2006 but didn't officially divorce until 2011. Following his marriage to Moore, Gibson dated Russian pianist Oksana Grigorieva. They had daughter Lucia in 2009. Gibson began dating Rosalind Ross, an equestrian champion, in 2014. The two welcomed their first child, Lars, in January 2017. Tyson had his first child, daughter Mikey Lorna, in 1990 with Kimberly Scarborough. During his marriage to Monica Turner, he had two more children, Amir in 1997 and Rayna in 1996. Tyson also considers Turner's daughter Gena, from a previous marriage, as one of his children. Tyson had son Miguel Leon with an undisclosed partner in 2002. In 2005, daughter Exodus was born with Sol Xochitl. Exodus died when she was just 4 years old in a tragic accident. A treadmill cord got caught around her neck. 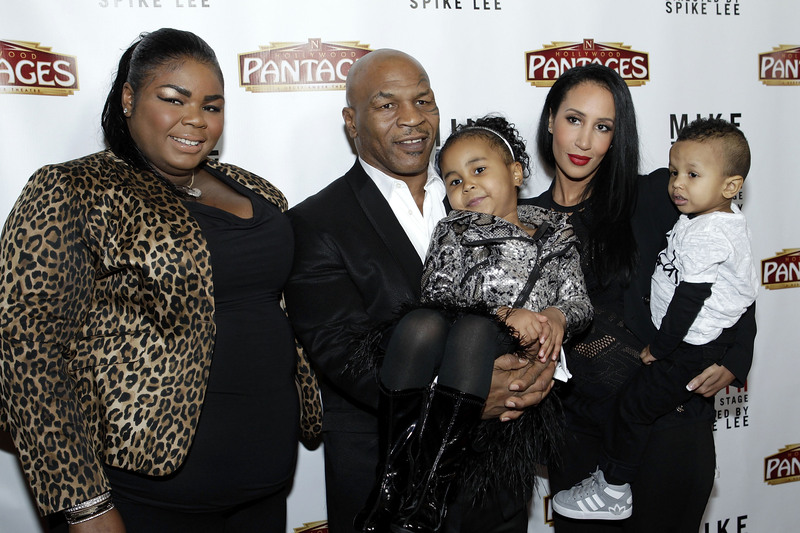 Tyson also has two children, Milan and Morocco, with his current wife, Lakiha Tyson. Muhammad Ali and his second wife, Khalilah Camacho-Ali, welcomed their first child, Maryum, in 1968. They had twins Jamillah and Rasheda in 1970, and Muhammad Jr. was born in 1972. During this time, Ali also had an affair with Patricia Harvell. She gave birth to a daughter, Miya, in 1972. 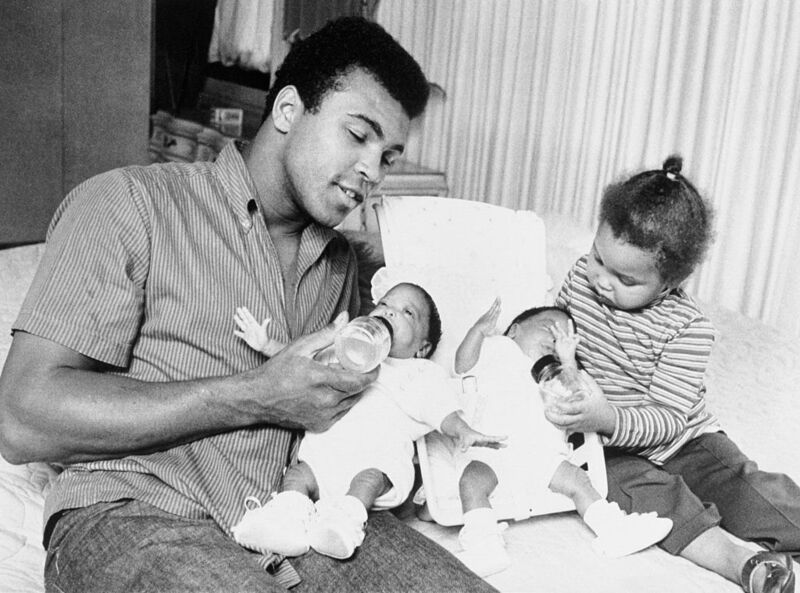 Ali also had another daughter, Khaliah, in 1973 with Aaisha Fletcher. While he was still married to Camacho-Ali, he had another affair with Veronica Porche. Ali divorced his wife and married Porche in 1977. They had two children together, Laila in 1977 and Hana in 1976. Porche and Ali split in 1986, and he married his fourth wife, Lonnie Ali, that same year. They adopted a son, Assad Amin, in 1986. They remained married until Ali's death in 2016. Robert De Niro married actor and singer Diahnne Abbott in 1976. The couple had two children together, Drena and Raphael, before their divorce in 1988. Following his marriage to Abbott, De Niro had a long-term relationship with Toukie Smith. Smith gave birth to the couple's twin sons, Aaron and Julian, in 1995. 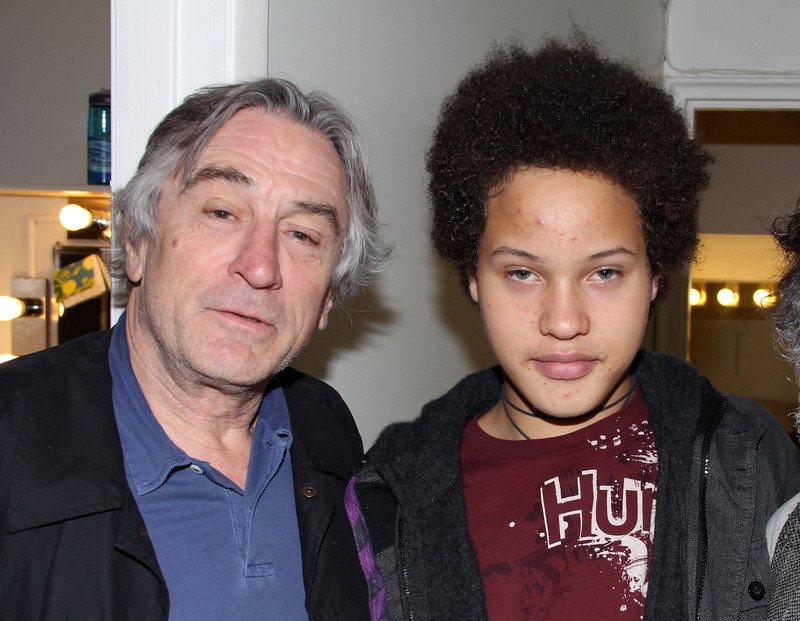 De Niro then married his current wife, Grace Hightower, in 1997, and they have two children: Elliot, 20, and Helen Grace, 7. Stewart's oldest daughter, Sarah Streeter, was born when Stewart was just 17 years old. He and his girlfriend, Susannah Boffey, placed Sarah for adoption, but she found out Stewart was her father when she was 18 years old. They reconciled in the early '80s. Stewart and his first wife, Alana, had two children, Kimberly and Sean. He and Alana split in 1984 after Stewart began dating model Kelly Emberg. The two had a child together, Ruby. Stewart married Rachel Hunter in 1990. They had two children, Liam and Renee, before their split in 2006. Penny Lancaster is Stewart's current wife. They have two children, Alastair and Aiden. Stewart reportedly joked after Aiden's birth, "The office is now closed, mate. I can’t have any more kids, otherwise I’ll be touring until I’m 90." Stellan Skarsgård and his first wife, My, married in 1975. They had six children together: Alexander (from True Blood), Gustaf (from Vikings), Sam (from nothing you've seen, he's a doctor), Bill (the clown from It), Eija (a model) and Valter (from Scandinavian TV series Black Lake). 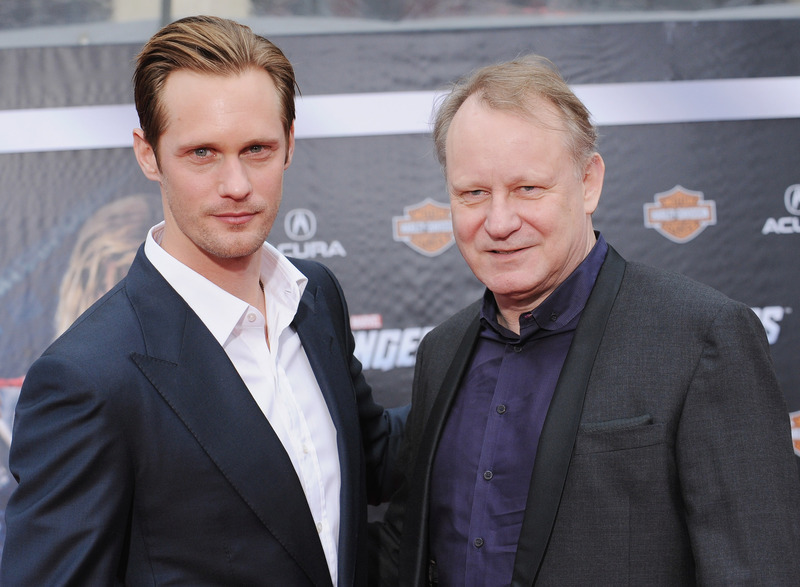 Stellan and My split in 2007, and Skarsgård married Megan Everett in 2009. They had two children together, Kolbjorn, 5, and Ossian, 8. Steven Spielberg has seven kids in total. He had one child, Max, in 1985 with his first wife, Amy Irving. After Irving and Spielberg divorced in 1989, Spielberg married his second and current wife, Kate Capshaw, in 1991. Capshaw had adopted a son, Theo, whom Spielberg also adopted when the couple married. Capshaw also had a daughter, Jessica, from her previous marriage. Spielberg and Capshaw then had three biological children, Sasha, Sawyer and Destry. They also adopted another daughter, Mikaela, together. Nelson has been married four times and fathered eight children. He had three children — Lana, Susie and Billy — during his first marriage to Martha Matthews, which lasted from 1952 to 1962. Less than a year after his marriage to Matthews ended, Nelson married Shirley Collie. The marriage ended in 1971 when Collie found out Nelson had fathered a child, Paula, with another woman, Connie Koepke. 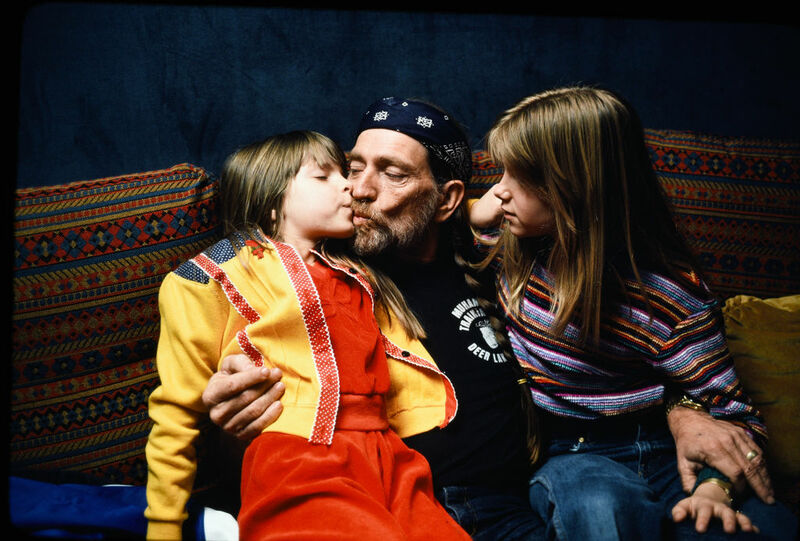 Nelson married Koepke in 1971, and they had a second child together, daughter Amy Lee. 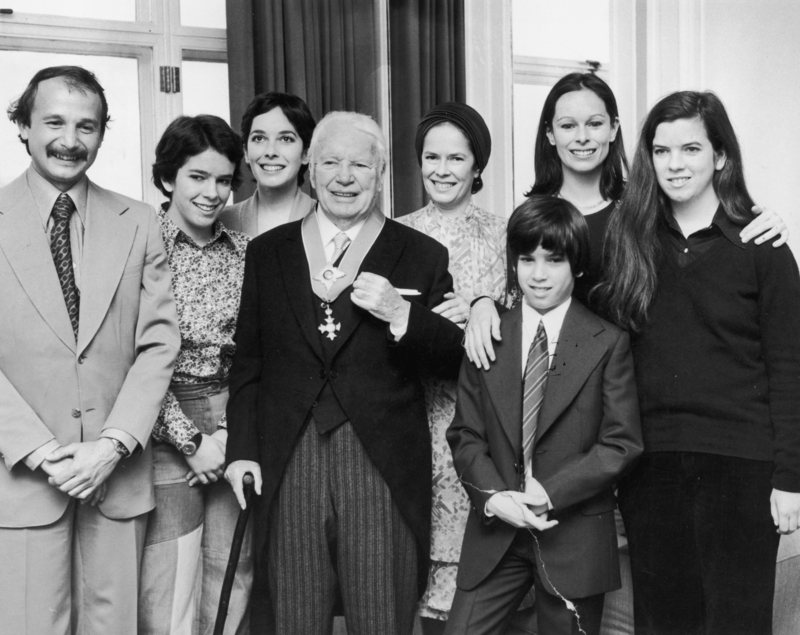 Nelson married his fourth wife, Annie D’Angelo, in 1991. They have two sons together, Lukas and Jacob, and are still married. In 2012, Nelson revealed he had a child he hadn't known about, a daughter named Renee.